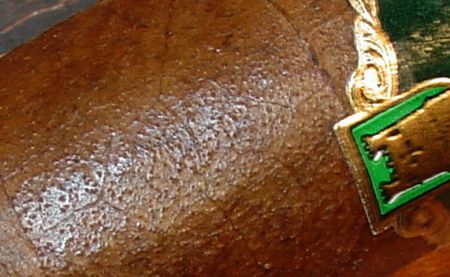 I’ve always liked the Padilla cigar band. It’s a little bit too big for a robusto sized cigar, but it’s bold without being overbearing — it’s an unusual and striking shape, with a blunted peak at the top. It always intrigued me, but I never really recognized it for what it was until I read an interview with Ernesto Padilla where he said that the crown of the image represents the nib of a fountain pen, in tribute to his father, the Cuban poet Heberto Padilla. I do have a few interests outside of cigars (believe it or not) and one of them is literature. I hadn’t heard of Heberto Padilla, so I checked out a book of his poems from the library. His poems are like a great cigar: balanced, full flavored, and serene. He was a true artist, and instead of a cigar review I’d like to offer a brief biography and a selection from his work with the sincere hope that you will look into it as well. Remembered primarily as a man of letters, Heberto Padilla was initially a supporter but later an outspoken critic of the Castro regime. He was born in the province of Pinar del Rio in 1932, and his first book of poems was published at the age of 16. Soon after that he went to the United States and spent most of the 1950’s here. In 1959 he returned to Cuba with great optimism for the future when the dictator Fulgencio Batista was overthrown. He took an active role in the new revolutionary government, helping to edit the literary weekly Lunes de Revolucion with his friend, the great Cuban writer Guillermo Cabrera Infante (who incidently wrote my favorite book about cigars, Holy Smoke.) Padilla also reported for the government press agency from Eastern Europe and Moscow, places that would give him further insight into the threats that communism might one day pose for Cuban artists. Gradually the political climate in Cuba began to chill and Padilla saw the threats of oppression take hold — the govemment discontinued Lunes de Revolucion, refused to publish Cabrera Infante’s work, and in 1968 Padilla himself became the focus of controversy. Padilla’s book of poems, Fuera del Juego (Out of the Game) was entered into the Julian del Casal poetry competition, a contest sponsored by the Cuban Union of Writers and Artists. Despite state pressure on the judges to deny him the award, the judges agreed: even with its open criticism of the Cuban government’s treatment of artists and writers, Fuera del Juego was the superior entry. It was published, but under a shroud of suspicion cast by a preface that warned readers about its dangerously counter-revolutionary tendencies. Padilla continued to write and air his controversial views despite the climate of hostility gathering around him. In 1971 he read from a collection of poems brazenly called Provocaciones, which led the regime to finally exercise its despotic power over the poet: he was arrested, jailed, and brutalized; his wife, the writer Belkis Cuza Malé , was arrested without cause, and finally he was forced to appear before the Writer’s Union to confess his work as counter-revolutionary. He was also made to denounce other writers, including his wife, as traitors to the revolution. After a sentence of forced labor, Padilla was allowed to work as a translator while under government watch. He was not allowed to publish, but he managed somehow to get some of his poems to the United States where they were published in the New York Review of Books and later collected in the book Legacies. In 1980, Castro unexpectedly allowed a number of dissidents to leave Cuba, and with the support of Senator Ted Kennedy and the author Bernard Malamud, Heberto Padilla was able to emigrate to the U.S.
between your orders and my songs. and your uniform face off. each one showing off his loyalty and valor. and, undefeated, one of my songs survives. I was browsing through the Daedalus Books catalog the other day and found a couple of titles that I’ve had my eye on for some time. (Daedalus is a purveyor of fine but commercially neglected books, also known as “remainders.”) In the catalog I also saw this venerable looking fellow with the stogie clamped in his craw and thought maybe, just maybe, this book would have some interesting cigar lore for me to ponder. It was only $4.98 so I threw it in the basket. The copyright date is 2003 by Parkstone Books in New York. The author is Jean-Pierre Alaux, and though there is no biographical information about him I would guess he is French. The text has been translated into English by Arthur Borges, and the book is bound in Slovenia. This seems to be a truly international effort. Unfortunately the text suffers somewhat from an unwieldy translation, resulting in things like, ” For a firsthand experience of the sensitive gestures that go into the manufacture of a puro…” and “Before being commercialised, each cigar undergoes a combustibility test…” Pre-smoked stogie, anyone? They’ve been thoroughly tested, I can assure you. The highlight of this thin volume is the photography. The first half of the book focuses on the Dominican cigar industry, and then it moves on to more general cultural topics. The cigar-related content here is pretty basic, centering on Tabacalera de Garcia and Altadis. A few words from Jose Seijas and short two-sentence profiles of four cigars — Don Diego Belicosos, Davidoff Double R, Santa Damiana “Rothschild Churchill” (??) and Pleiades Orion — completes the section on cigars. The landscape photography is quite nice, and the detail in the pictures of the galeras is worth the bargain price. (My pictures of the pictures don’t really do them justice.) The book is quite short at only 96 pages. It’s really more of a novelty item than a serious look at the island or the cigars made there, but not a bad impulse buy for 5 simoleons. I've always enjoyed reading Lew Rothman, whether it's ad copy in the JR Cigars catalog, or the occasional article in the cigar magazines. In addition to being a power player in the American cigar industry, he's got a hell of a sense of humor. Excellent machine made cigars from the top of the line to the bottom. Their hand made cigars are just O.K. Very good value throughout this cigar line, don't let their tasteless packaging turn you off this brand. So it was, 26 years ago. The first forty pages of the book consists of introductory material, including "The Cigar Industry Today," "Keeping Your Cigars Fresh," "How Much Should You Spend for a Box of Cigars?" and the like. A pictorial tour of the Partagas factory (Dominican Republic) concludes the introduction. A. First take out enough cigars for the day. You don't want to spend your day unwinding wrappings off of mummified cigars six or eight times a day. B. Take the home humidor you spent 50 Bucks for, and throw it in the garbage can. C. Put your cigars (in, or out of the box) in a zip lock baggie, or whatever you call those plastic bags you can seal over and over again. Mush out the excess air before you close it up. D. Throw the bag in the bottom of your refrigerator or in a plastic vegetable box, or both. Q: Does a long ash mean a cigar is good? A: Do cattle with long tails make tastier steaks than those with short tails? 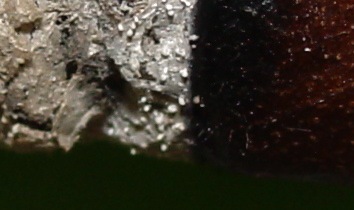 Q: Is it good to have a long ash on a cigar? A: NO! NO! NO! NO! NO! 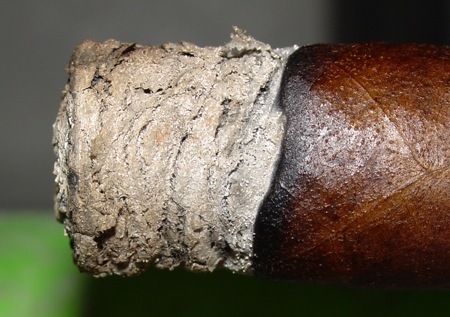 A long ash hinders the passage of air to the cigar, makes it burn unevenly, and usually gives the cigar smoker a stiff neck from trying to balance it on the end of his cigar. Long ashes make people cross-eyed, get clothes, carpets, and sofas dirty, and if allowed to get long enough, become, for a period of time, the cigar smoker's only reason for living. Q: My little hand made cigar man still makes me an all Havana cigar from tobaccos he bought before the embargo. What do you say to that? A: You are an idiot. Rothman includes for the sake of "completeness" an appendix of Cuban cigars, while maintaining that cigars made outside of Cuba are often just as good. But that statement might be best taken in conjunction with his admission in a recent Cigar magazine article: "The one and only thing I ever really, really excelled at was lying! I was the best liar there ever was." Lew Rothman's Cigar Almanac has of course been out of print for many years. I borrowed this copy from a library in Cookesville, Tennessee that was willing to loan it long distance. It's an interesting blast from the past, and still a fun book to page through. Just don't believe a word of it.